Look smarter than everyone else as you wear this shirt. 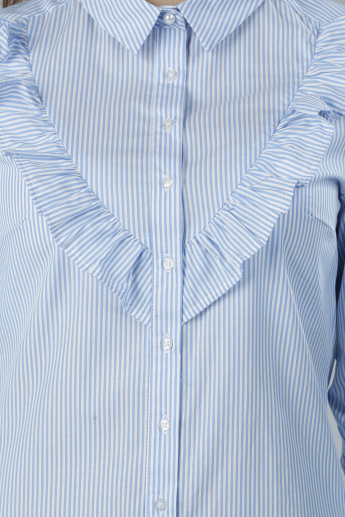 The striped detail looks sharp and the ruffle adds to the classy look of the shirt. Fabricated from a soft material, it is comfortable and long lasting.